This set of images show the areas mapped so far on Saturn's moon Titan by the Cassini Radar Mapper using its Synthetic Aperture Radar imaging mode and the location of the upcoming Oct. 28, 2005, Titan flyby. Labels represent the approximate central longitude of each globe. The radar swaths are superimposed on a false-color image made from observations by NASA's Hubble Space Telescope. The top image shows radar swaths from the first Titan flyby, on Oct. 26, 2004, (northernmost) and the second radar pass of Titan, on Feb. 15, 2005 (near-equatorial). The Oct. 26 swath is about 4,500 kilometers long (2,800 miles), extending from 133 degrees west longitude and 32 degrees north latitude through 12 degrees west and 29 degrees north. The February swath is centered at approximately 30 degrees north and 70 degrees west. The spatial resolution of the radar images ranges from about 300 meters (980 feet) per pixel to about 1.5 kilometers (0.93 miles) per pixel. The middle globe shows the radar swath acquired during the third radar pass, on Sept. 7, 2005, close to Titan's south pole. The swath is centered at 12 degrees west and 51 degrees south, with similar spatial resolution to the previous two. These first three radar passes revealed a variety of geologic features, including impact craters, wind-blown deposits, channels, and cryovolcanic features. The third globe at the bottom shows the location of the radar swath for the upcoming Oct. 28 flyby. The location of the Huygens landing site is marked in red. 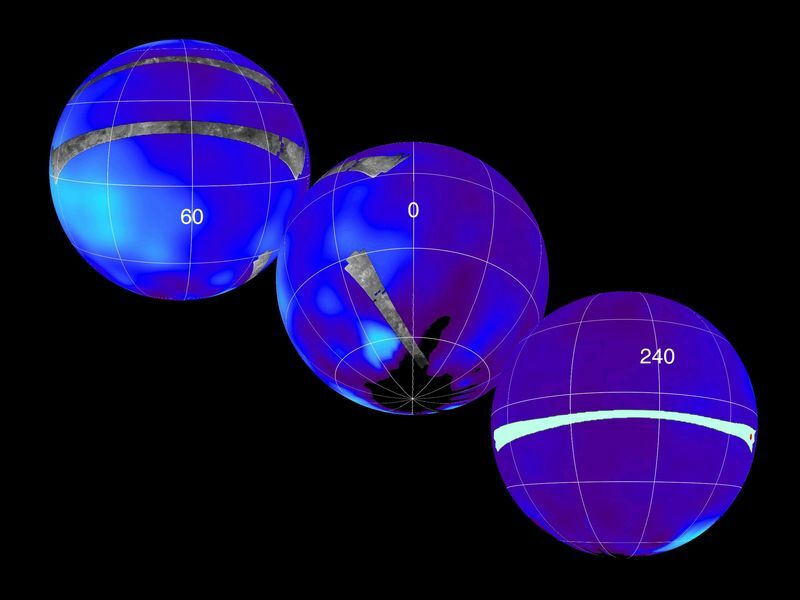 The overlap between the Huygens data and the radar data will give new clues to the nature of the surface seen by the Huygens probe, which landed on Titan in January 2005. The Cassini-Huygens mission is a cooperative project of NASA, the European Space Agency and the Italian Space Agency. The Jet Propulsion Laboratory, a division of the California Institute of Technology in Pasadena, manages the mission for NASA's Science Mission Directorate, Washington, D.C. The Cassini orbiter was designed, developed and assembled at JPL. The radar instrument was built by JPL and the Italian Space Agency, working with team members from the United States and several European countries. 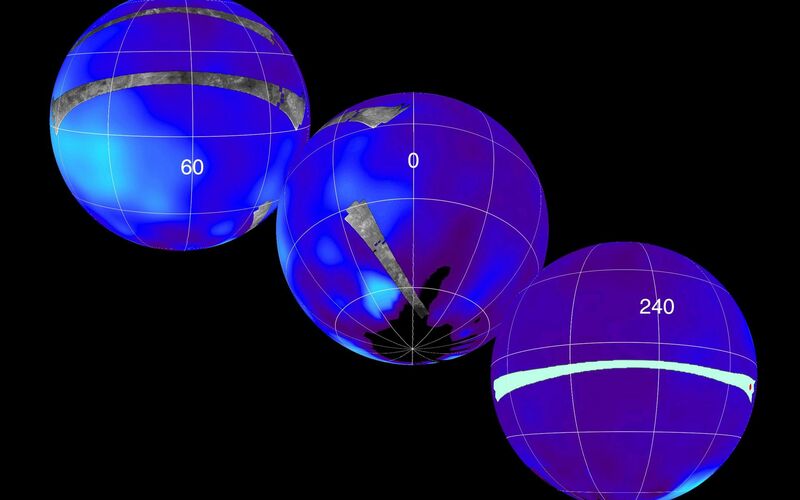 For more information about the Cassini-Huygens mission visit http://saturn.jpl.nasa.gov.